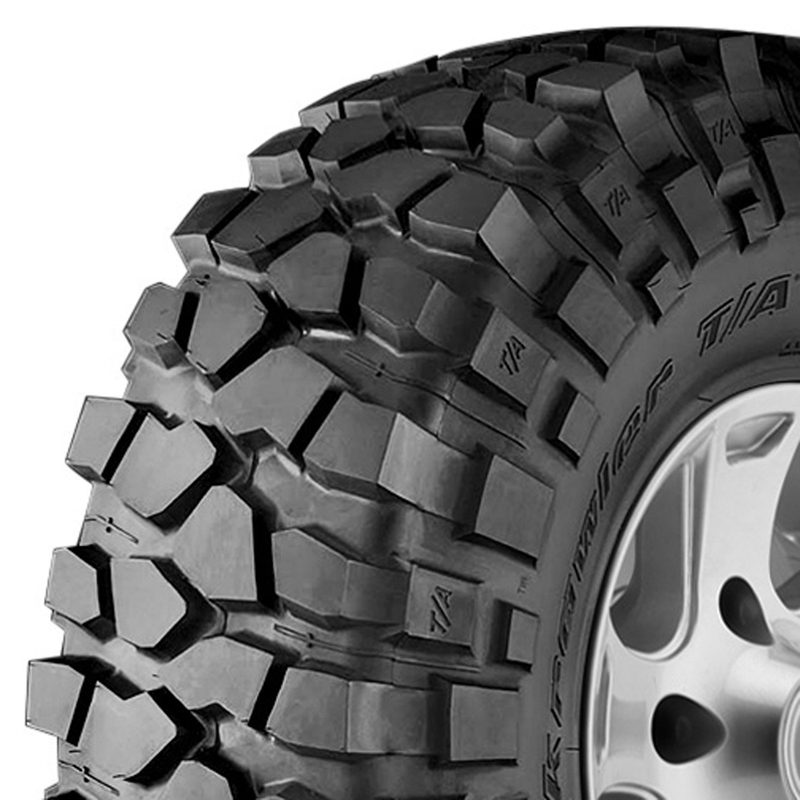 Go to extremes with the world-champion BFGoodrich Krawler T/A KX rock-crawling tire. This oversize, monster tire has won more rock-crawling championships than all others combined. 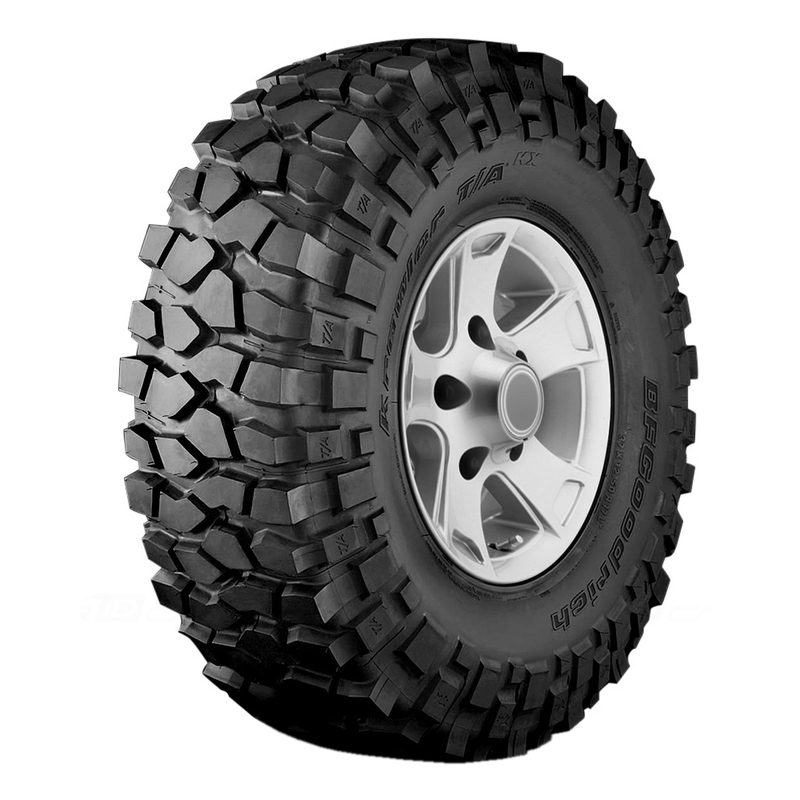 "Extreme traction" in rocks, mud, and dirt doesn't begin to do it justice -- it molds to and grips uneven terrain and can be carved to fit your needs. The super-tough sidewalls are incredibly puncture-resistant and the rims reject off-road hazards, especially in aired-down scenarios.